Audi insists it does not want any help from performance concessions, despite its torrid start to the 2018 DTM season. Further regulation changes - including reduced downforce and a simplified suspension - were then negotiated for this year, and Audi has begun the season trailing Mercedes and BMW. Audi's rivals were given concessions in the past, with BMW enjoying a reduced base weight and wider rear wing in Marco Wittmann's title-winning season in 2016. But Audi motorsport chief Dieter Gass does not want any such help. "Basically, this is not our philosophy," he said. "For me personally, this is unsporting. Whoever has the fastest car should also win. 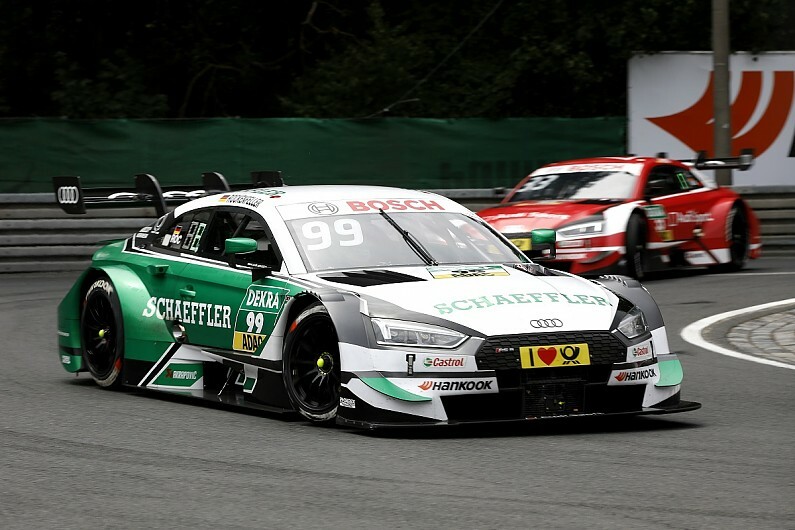 Mike Rockenfeller, currently the top Audi in the standings in 10th and 65 points behind points leader Gary Paffett, backed Gass's stance against performance concessions.